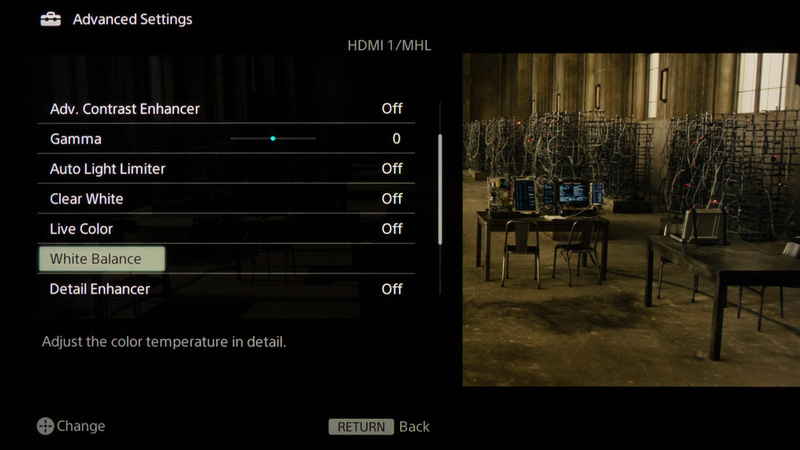 As usual, we calibrate our TVs to have a picture that is as close as possible to the original source, which also corresponds to the lowest input lag. 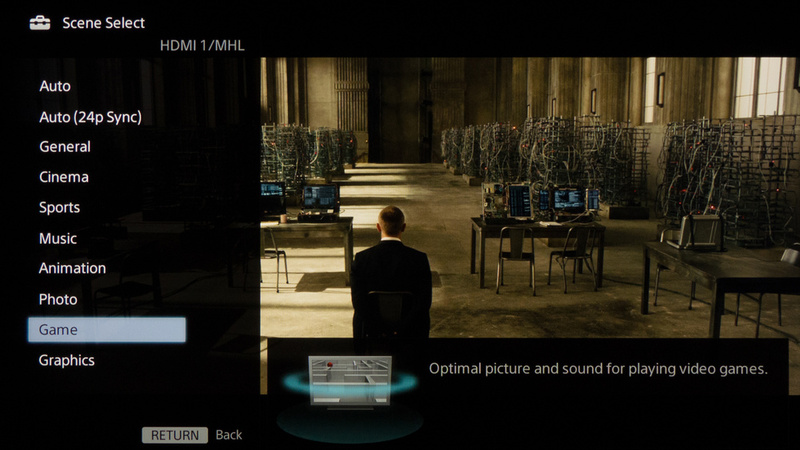 Our settings thus work best for gaming and high bit rate movies (like Blu-ray). For lower-quality content, you will need to enable a few processing settings to compensate for the noise. 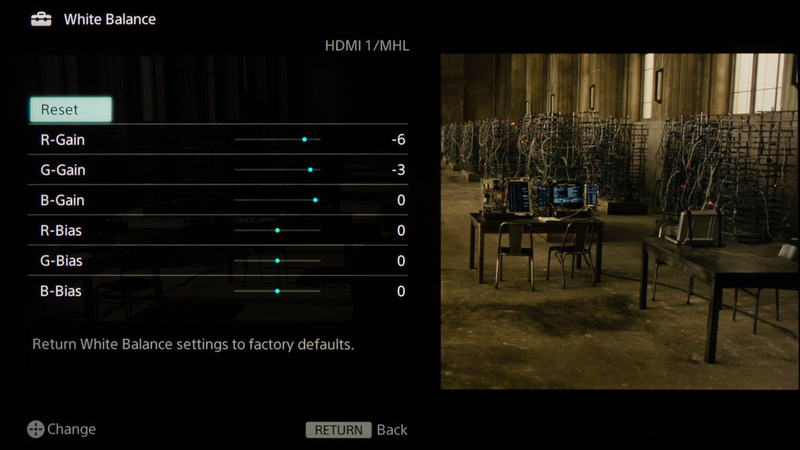 Game mode on the Sony W850B has the lowest input lag. 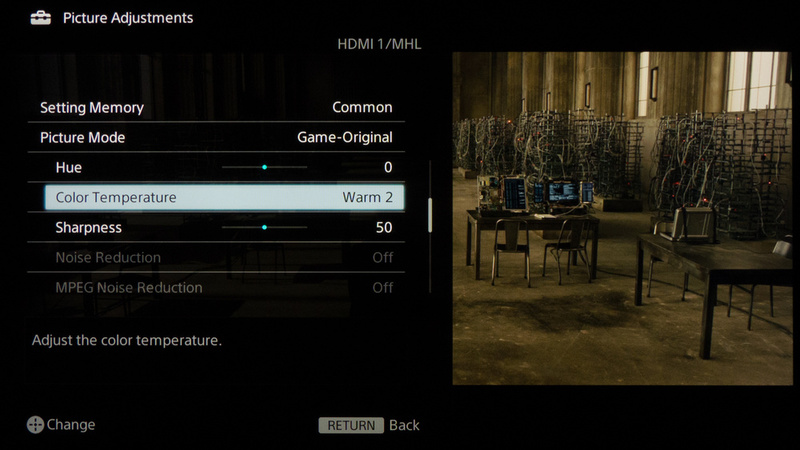 The color temperature of Warm2 was the closest to 6500K, as usual. 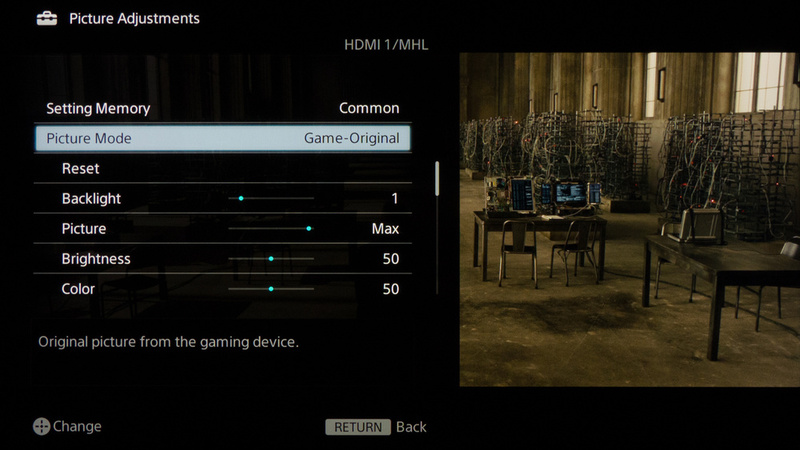 If you play games, you will probably want to set MotionFlow to Impulse (see the Q&A section of our review to see why). 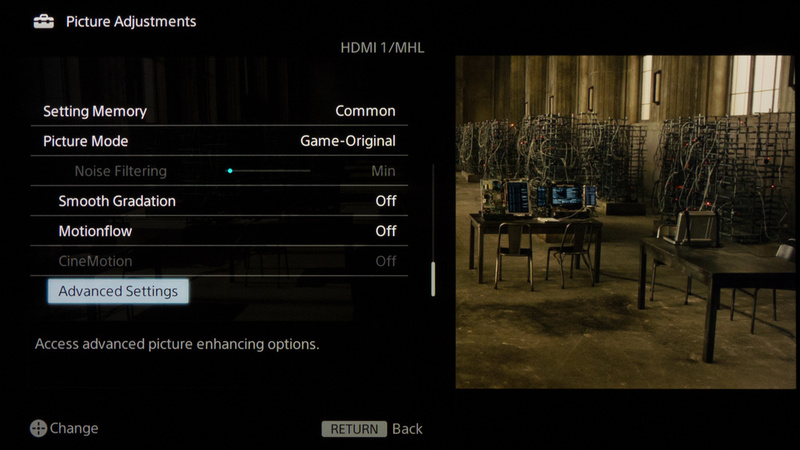 In advanced settings, everything is off. Some people might prefer to decrease the gamma a little bit. A value of 0 is the equivalent of 2.2. The white balance was a little bit off by default, but not by much.